We are living through an era of intense turbulence, disillusionment and bewilderment. Deepening geopolitical tensions are transforming international relations, and political tribalism is revealing deep fissures within countries. The spread of exponential technologies is upending long-held assumptions about security, politics, economics and so much more. At least two factors distinguish the current phase of globalization from past iterations. First, the accelerated pace of change is making it virtually impossible to plan ahead. The speed of transformation, and its effects on markets, firms and labour, is astonishing. Second, the interdependence of global financial and trading systems and supply chains means that even the smallest of local glitches can have planetary ramifications. And while the world has never been more intertwined, it seems harder than ever to solve the most pressing transnational problems. Back in 1989, there was a sense of inevitable human progress. The invention of the worldwide web was supposed to herald a new, flourishing age. There was a widely held expectation that the digital commons would shrink the world, forge powerful networks of solidarity, expand freedom of expression and bolster progressive political and social movements everywhere. Likewise, the tearing down of the Berlin Wall and the collapse of the Soviet Union were supposed to spread liberal democratic principles and values, and hasten the end of history. While the number of democracies did increase, so did ominous signs of illiberalism. Not everyone in newly democratic countries benefited equally. In hindsight, expectations that the web and democracy would set us free seem quaint, even naïve. Granted, the world has faced some serious setbacks in the intervening period. Few events have had greater impact on recent history than the 9/11 terrorist attacks, the US-led intervention in Iraq, and the 2008 financial crisis. The war on terror has cost American taxpayers close to $6 trillion - roughly $32 million an hour. It also triggered tremendous political upheaval, from Afghanistan to Syria, laying bare the limits of US power. Meanwhile, in 2008, the collapse of US banks, mortgage lenders and insurers contributed to the largest economic meltdown in history, including roughly $10 trillion in losses. The 2008 financial crisis spread much faster than the Great Depression of the 1930s; by 2009, global GDP contracted in real terms for the first time. The crisis shattered the illusion that financial instability had been relegated to the past. It also unleashed a virulent strain of partisan antagonism that rattled American democracy to its foundations, leading to the rise of Brexit and Trump. Both events have left deep political and economic scars. In stark contrast to the confident years of the 1990s, it is hard to know what happens next. Anxiety has replaced hubris. On the one hand, states and communities are growing more divided. In Western countries, there is a palpable resentment of the elites by the left-behind who have watched their own wages stagnate. On the other hand, the pace and scale of technological change make it virtually impossible to forecast what kinds of threats are on the near-horizon, much less how to deal with them. While political parties are generally good at managing the daily business of governing, they are struggling to craft a realistic plan looking five to 10 years into the future. The relentless spread of new technologies - artificial intelligence, robotics, genomics and biotechnology - is mesmerizing and unnerving in equal measure. There are widespread fears that automation will generate mass unemployment, in poor and wealthy countries alike, and that algorithms could hack electorates and destroy democracy itself. The last stories of inevitability - the empowering potential of the internet and the dominance of liberal democracy - are over. There are no discursive guardrails to give direction. The absence of a unifying narrative is deeply unsettling, especially in the West. All of this requires that we face up to an uncomfortable truth. While there are many reasons to be optimistic about the future (especially if you are Asian), interdependency and acceleration are making it harder, not easier, to work on solving common global problems, ranging from climate change and financial collapse to the spread of weapons of mass destruction or deadly pandemics. The question on every decision-maker’s mind is how to cope - much less thrive - in a fractious, multipolar world. To make matters worse, many political parties around the world are in crisis. Most of them are wedded to an outdated 20th-century paradigm that envisions the world through the prism of left and right, or capitalism versus socialism. While political parties are generally good at managing the daily business of governing, they are struggling to craft a realistic plan looking five to 10 years into the future. With few exceptions, politicians are instead retreating to the past and peddling nostalgic fantasies. Unless political parties radically reinvent themselves, liberal democracies risk becoming irrelevant. Acceleration and interdependence are generating uncertainty across all domains of human life. Take the case of education. For the first time in a century, most societies do not know what to teach in their schools and universities. As in the case of politics, the focus is often on short-term priorities or recycling the past. 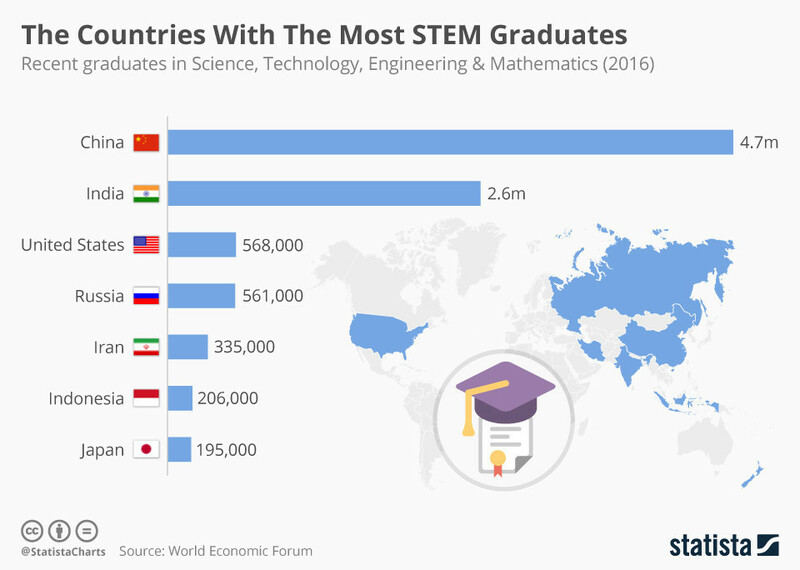 Some educators are investing heavily in STEM subjects - science, technology, engineering and math - and preparing young people for lifelong learning. The hope is that children will become digitally literate and creative early adopters. The reality is that no one has a clue what skills will be relevant in a few years’ time, much less what tomorrow’s jobs will look like. In an accelerating and interdependent world, the decisions taken by political and business leaders in the coming years will be incredibly consequential, shaping every facet of our future. The good news is that greater access to the internet and means of communication is shrinking digital divides. As a result, more and more people will have opportunities to influence the debate and take action. Whether or not citizens have the time or energy to be part of the conversation, the truth is that everyone will be affected, and some more negatively than others. Faced with uncertainty, many decision-makers will be tempted to stop the clock, peddle simplistic solutions and retreat to the past. This is incredibly dangerous. What is needed more than ever is greater literacy with complex ideas and active reflection on future causality. Those who complain that this is hard work had better start rolling up their sleeves. The alternatives - ignoring our most pressing challenges or dropping out - are catastrophic. The truth is that we all must understand more, so that we can fear less. The future has never been certain or secure. The arc of history was never moral or just, and there have always been winners and losers. While bold narratives advanced by populists may offer comfort, they can also lead us disastrously down the wrong path. There have always been multiple narratives, some louder than others. Our opportunity and challenge is to accommodate a plurality of views and values, distinguish fact from fiction, and foster collective action on the most urgent existential risks facing our fragile world. If we are to survive and thrive in this new age of uncertainty, we will all have to learn to navigate complexity. Although we are hardwired to think in the short term, we will have to teach one another, and future generations, to take the long view. The road ahead is uncertain and will likely be taxing. It will require honing our critical and analytical skills, and developing a greater capacity to anticipate, adapt to, and be resilient in the face of systemic shocks. Make no mistake - we no longer have the luxury of complacency.